By request of some of my readers, I will try to post more cooking recipes to my blog. 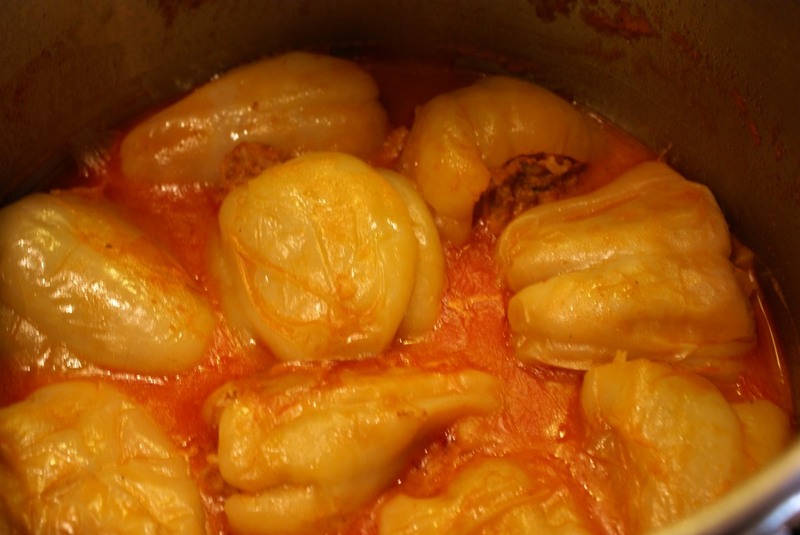 One of the most liked Bosnian summer meals are stuffed peppers. 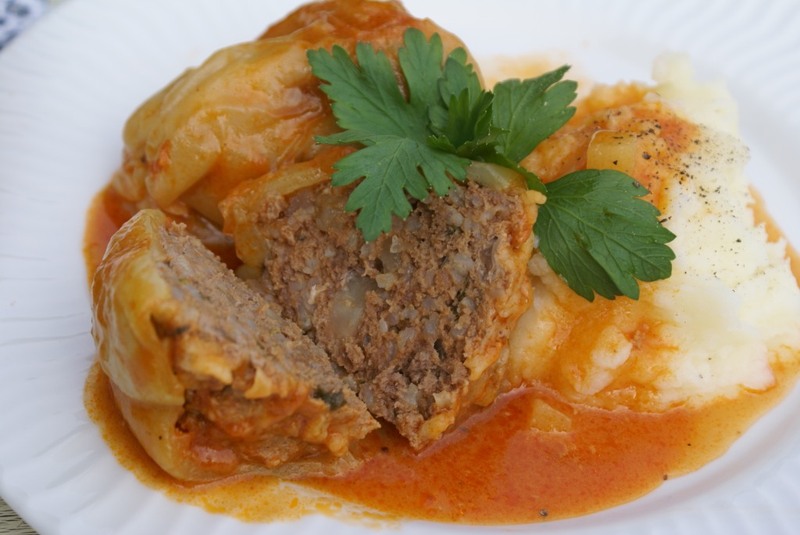 If you’re not familiar with Bosnian cooking, you should know that we like to cook from scratch, use fresh ingredients, seasonal vegetables and we take pride in what we do. Even though the ingredients and spices are simple, preparation and cooking process are lengthy and produce flavorful, hearty and memorable meals. 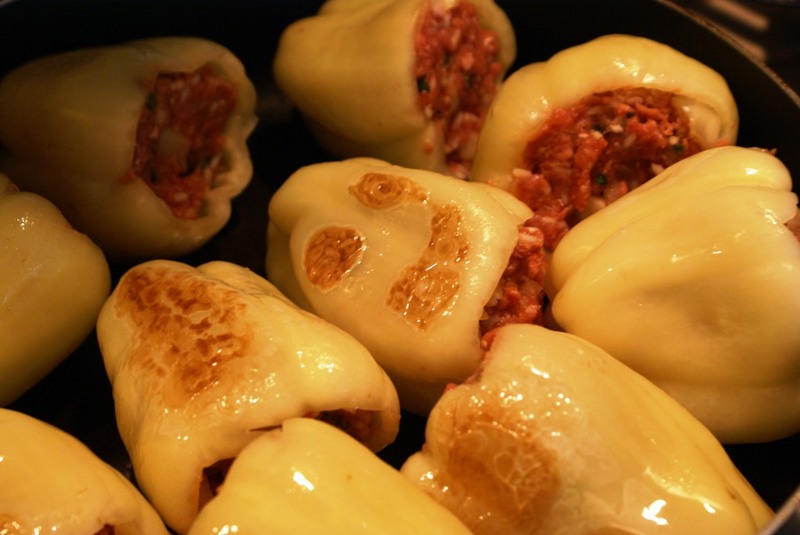 I usually make stuffed peppers two ways – stuffed with ground beef and cooked in sauce and the vegetarian way, stuffed with potatoes and rice and baked in the oven. 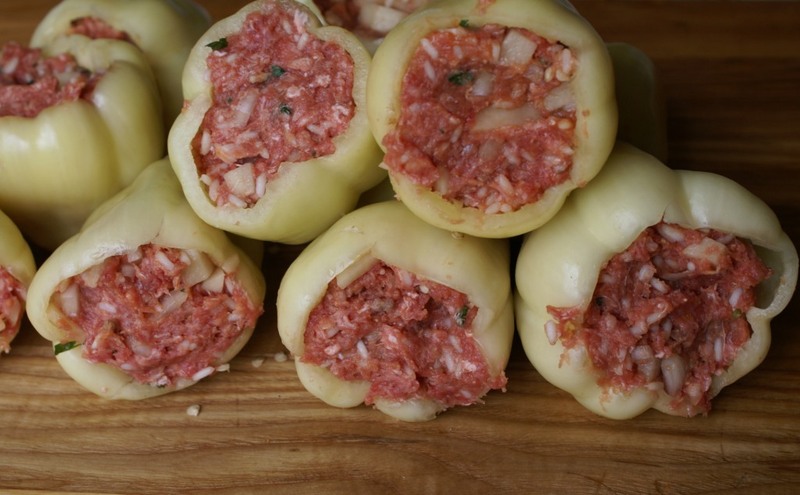 Today I would like to introduce ground meat stuffed peppers. I usually use ground beef for stuffing. 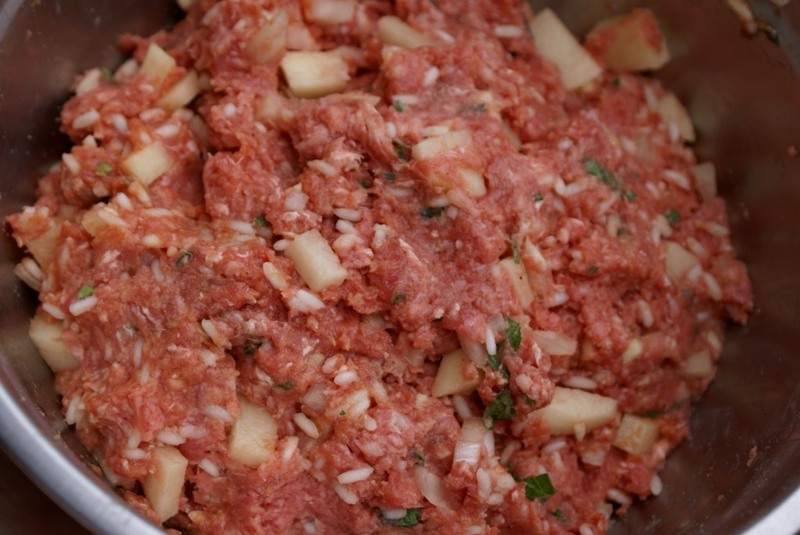 Ground pork, or mix of ground beef and pork can be used as well. I have not tried making them with ground chicken or turkey. I also add a potato to the stuffing mixture, but that’s optional. 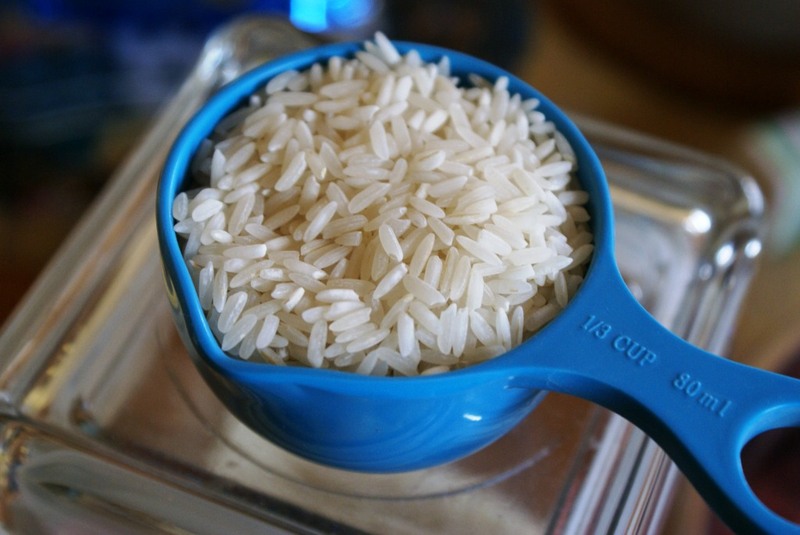 Also the rice doesn’t have to be precooked. I half-cook mine, since I’ve had stuffed peppers where rice was not fully cooked and I want to avoid that. 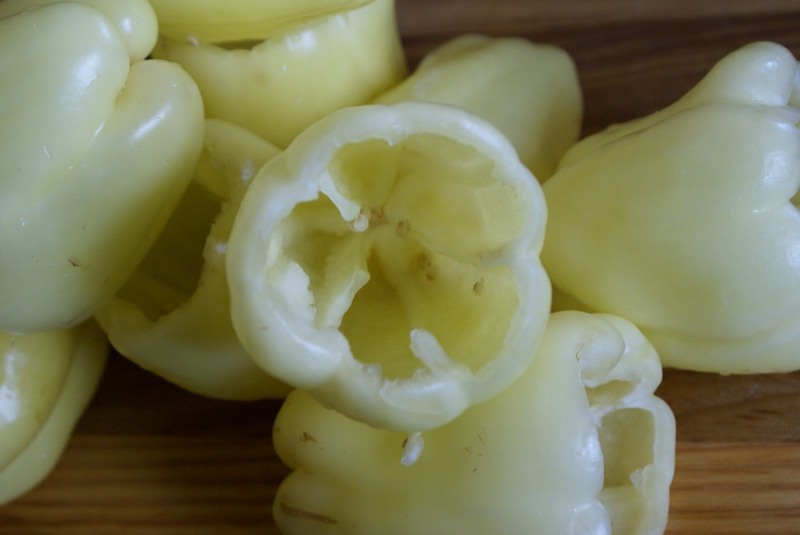 Most common peppers used in Bosnia are white peppers. I suggest not to use green bell peppers for this recipe, except if they are really small. A good substitute in the US are cubanelle peppers. 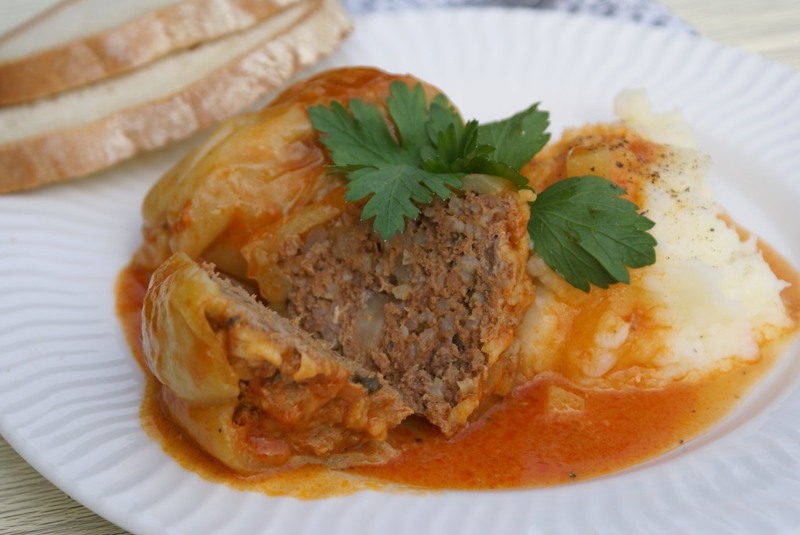 I usually serve my stuffed peppers with mashed potatoes, but they can be served just by it self and with an addition of some good crusty bread to dip into sauce. Wash and dry peppers. Cut open the top and remove all the seeds and membranes. Set aside. Cook the rice halfway (about 5 minutes) and strain. Set aside. 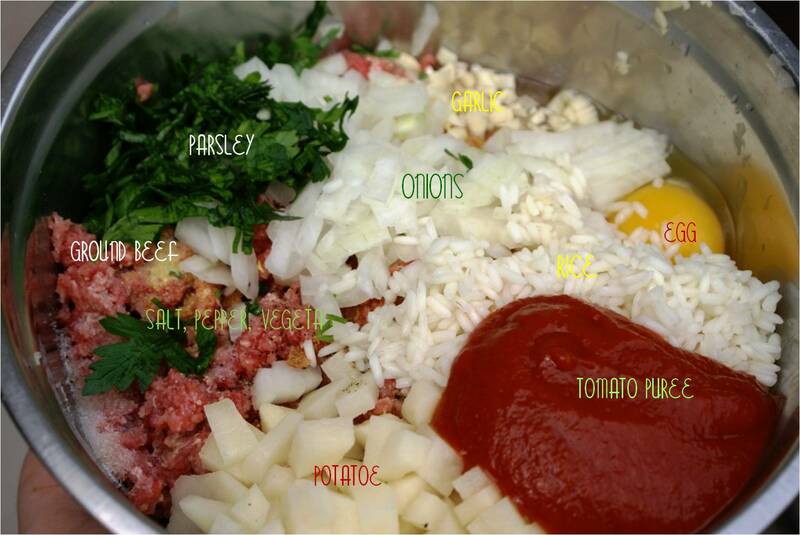 Place ground beef in a medium bowl and sprinkle with all the spices. Add all vegetables, rice, egg and parsley and mix into a compact mass. Stuff each pepper and set on a plate next to the stove. Heat 3 tbsp of cooking oil in a frying pan. Lightly brown peppers on each side (just until fragrant, remove from the pan and place back on the plate. Pour the oil from frying into a cooking pot. You will make the sauce now. Lightly heat the oil, add 2 tbsp flour and stir gently until smooth. Add ground paprika and salt and stir for about 1 minute. Don’t let it burn. Add tomato puree and water. Stir and let it boil. When the sauce starts boiling, place all the peppers inside. Turn the temperature down to medium and simmer for about 45-50 minutes in a half covered pot. 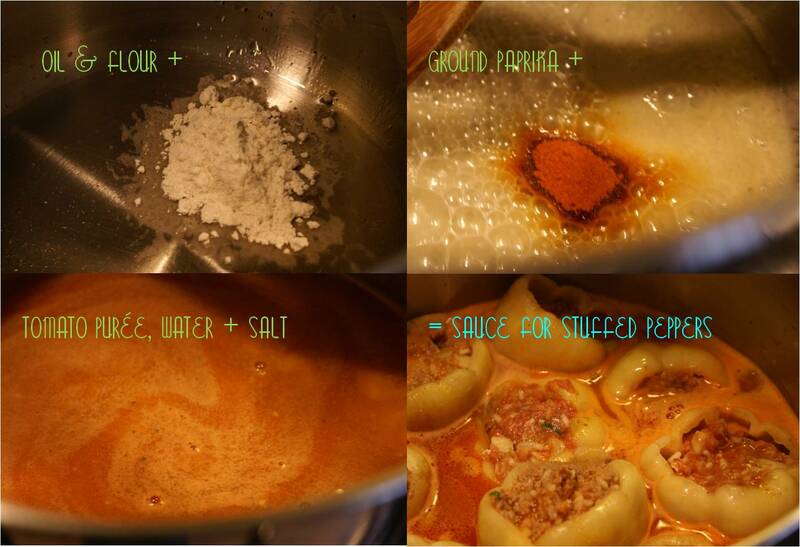 *** Sauce will reduce during the cooking and will become thicker. 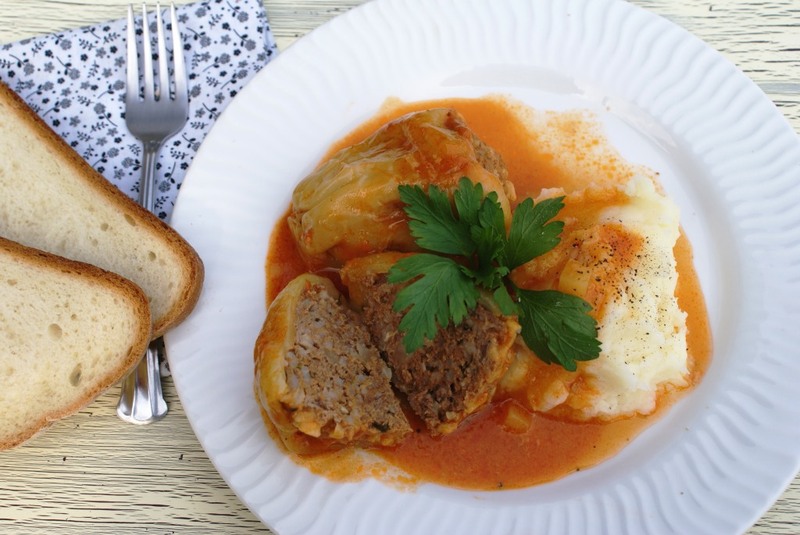 Serve with a side of mashed potatoes or just with bread.